If you’ve been interacting with eCommerce sites on the web for any amount of time, you’ve likely noticed the ability to join a newsletter as you’re making an online purchase. This is often a checkbox under the checkout grid of your payment page, and a lot of people click it to stay up to date on their purchases. Sometimes you buy something (often with digital products), and you’re automatically subscribed to a list (not my favorite, but it happens). 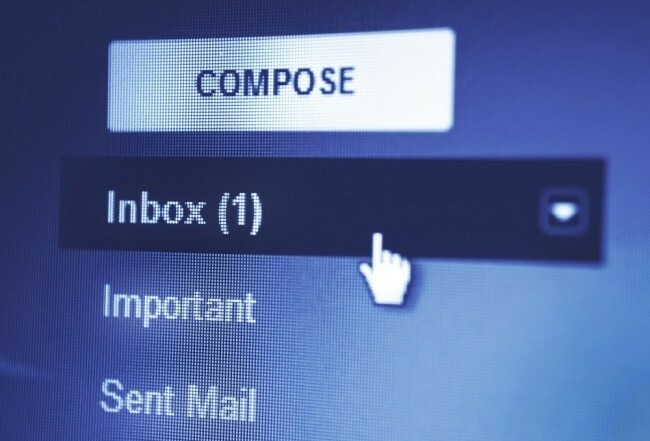 That’s email integration with your website. If you’re like me and use MailChimp and WooCommerce, then you’re likely looking for an integration solution that gives you full ability to put customers onto MailChimp lists. Two products that I know of, and looked at, exist. One is free, and one has a small fee. WooCommerce MailChimp is a free solution – and does what it advertises. WooChimp is a $25 plugin (one time fee) – and looks like it does more, but I haven’t tested it yet. But what if you want something a bit different. You don’t want to integrate with your MailChimp account. 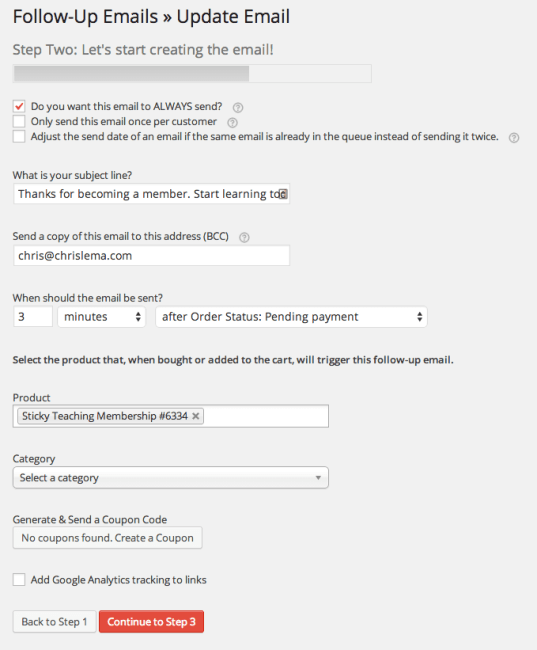 You want custom emails for specific events. I am rolling out a new membership component to this site. It’s for folks who want to learn to deliver better presentations (called Sticky Teaching). Once someone buys this membership, I want to send them an email (only to purchasers of that specific membership product) that isn’t a receipt email. I want to send them an email that tells them where my protected page is. 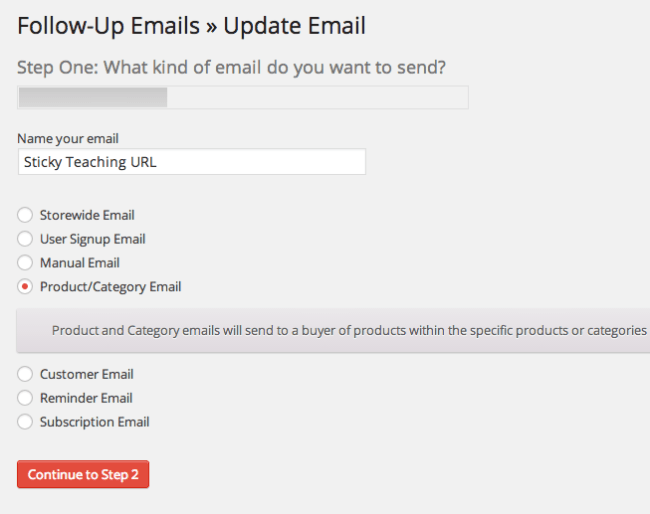 I manage this conditional dynamic with a WooCommerce extension called Follow-Up Emails, and it’s really easy to use. In fact, it only took three steps. Step one is to determine what kind of email I want. And as you can see below, I have a lot of different options. I decided to link this email to the purchase of a specific product. But you can link it to many different dynamics. Step two is to determine when you want it sent. For me, I wanted it sent almost right away (3 min later). But you could schedule emails to go out at the three day, five day, and two week mark, if you’re educating someone about a recent purchase. Step three is to write the actual email, which you can see below. And what’s nice is that I get a whole set of variables to use in the email (off to the right). You can do either. Or both. The truth, which you likely have guessed by now, is that these are two different approaches to solve two different sets of problems. Both relate to WooCommerce and to email. But they’re solving different dynamics using different tools. And nothing stops you from using one, or both. Your goal, after all, is simply to make WooCommerce emails the best and easiest things to create. All for your customer – so they feel supported and engaged. These solutions do that for you.